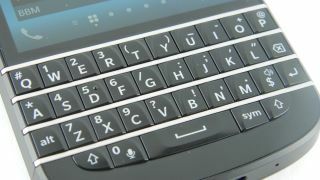 BlackBerry as a brand and a company is starting to make a slight rebound. According to recent reports, the company is not haemorrhaging quite as much money, the stock is up a little, and a new CEO seems to have a few worthwhile ideas. But how can the company really win back corporate customers and save their skin? By following a few of these strategies for success. Search the Android and iOS stores today and you will find one lone BlackBerry app for messaging. Yet BlackBerry (known formerly as Research in Motion) does make a series of business-oriented apps including one for protecting your phone from theft, a travel app, and a password manager. To reinforce the brand, BlackBerry should port these apps to Android and iOS immediately and even make full-screen tablet versions. Maribel Lopez, a research analyst at Lopez Research, says BlackBerry already has some foothold with Android apps because you can side-load them on BlackBerry phones and tablets. Still, that's not the same as creating more BlackBerry apps for the two dominant platforms in the industry. The enterprise decided a long time ago that the BlackBerry smartphone is fading into the sunset. Business has switched to smartphones running Android, iOS, and Windows Phone. But maybe the company's mobile hardware offerings can live to see another day. To save them, BlackBerry should refocus on messaging devices with a real keyboard designed exactly like the original models (not using a new layout like you'll find on the BlackBerry Passport). Offer these messaging devices at a price so low that the enterprise jumps back on board. Lopez says BlackBerry already emphasises messaging devices as a top priority but has retooled communication around this to encourage customers who "bring their own device" to reconsider BlackBerry apps to make them more productive. It's an admission that corporate-approved phones are not as common. BlackBerry Messenger is the only app you'll find in the iOS and Android stores from the Canadian company. It's a ridiculous app that promises to bring you closer to family and friends and emphasises emoticons. What? Business users want to know that their messaging is secure, reliable, and traceable. BlackBerry should push those features. And, while they are changing the marketing message, go ahead and add stronger encryption, better admin controls, and more swiping features like those in popular apps like Mailbox. "Apple iMessage has been a smash hit on iOS devices and Apple continues to innovate with it," says David Johnson, a Forrester analyst covering mobile devices. "The world needs a de facto internet messaging standard for all devices that is at least as good as iMessage is. But that's a tall order and there are probably too many competing interests for BlackBerry to be successful with it to dominate." It may be too late, because most of the momentum for using this email server for managing devices in business has been lost. Why use it anymore if you have switched over to iOS, Android, or Windows Phone devices? However, at one time, BES was the one and only reason to keep using BlackBerry devices and offered trusted security features. Make a dynamic duo – low-cost messaging devices with real keyboards and a new improved BES. "This is all in hindsight of course, but they had the opportunity to dominate MDM once, and many large enterprises still use the BES, but if they invest here it would have to be in innovative ways," says Johnson. "For example, there is still opportunity for them in things like Mobile BI and in presenting both BlackBerry and non-BlackBerry device users with cleverly presented, and wonderfully useful information and insights from their organizations' systems – perhaps leveraging context from other information on the devices. "I can imagine services like combining rich information from the user's calendar intranet portals, Salesforce.com, and other key sources to present a sales rep with key insights into a client she's scheduled to see in 30 minutes, for example." BlackBerry dug their own ditch when they marketed the BlackBerry 10 smartphones as consumer devices that encouraged social networking and photos. BlackBerry needs to create new TV commercials, online ads, and viral videos that emphasise better security. Go for the jugular with iOS and especially Android devices that don't use the same level of security. Start by selling the wide availability of cross-platform BlackBerry apps for business. "When President Obama was elected it was all over the news that he wanted his BlackBerry as president, too," says Johnson. "It doesn't get much better than a presidential seal of approval on your security strategy. They can still draw on this and give examples of high-security organisations that depend on BlackBerry security, though, and perhaps find innovative ways to either bring that security mojo to other devices and platforms, or make it so good for BlackBerry devices that no one can touch them on the high end. This could be their niche for a while."